After last year’s thrilling showcase of diverse and ingenious work, we’re excited to open up awards submissions for the 2018 Interaction Awards. Founded by the Interaction Design Association (IxDA), the Interaction Awards honor design quality and innovation, open conversations within the community, and continuously advance the practice of Interaction Design as it continues to become a driving force for change. 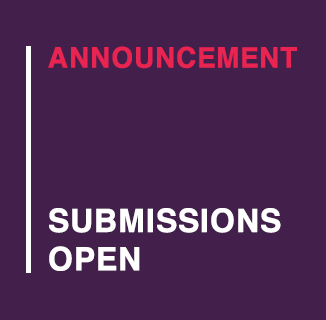 We accept submissions in the following six categories: Optimizing, Engaging, Empowering, Expressing, Connecting, and Disrupting. All entries will be evaluated based on the following criteria: opportunity, audience, craft, and overall impact. All entries are judged in two rounds. The first round is an anonymous peer-review, which is open to all IxDA members who wish to participate. Shortlisted entries will then enter a second round, which will be closely evaluated by our 2018 Interaction Awards jury. We believe in diversity and actively encourage participation from all over the world, across all levels of experience. This is why we accept not just professional but student projects as well. Fees are structured by professional or student status and geographic region. Read more about the Interaction Awards categories, rules, and prizes. We are happy to announce that we have a new awards co-chair, Rodrigo Vera, who will be steering the team together with Molly Wright Steenson. They are both looking forward to seeing your work and greeting you at the next Interaction Awards celebration on Wednesday evening, 8 February, 2018, during the Interaction Week in Lyon, France. Our new jury chair is still a secret — but will be revealed soon. We will also be introducing a new jury for this year and will be sharing profiles in the coming months. We’ll keep you posted!